﻿ Purchase/Sale of seasoning sets. 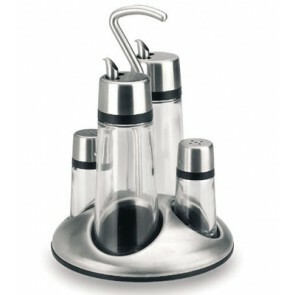 The tableware set consists of at least two items which includes the oil and vinegar cruet. 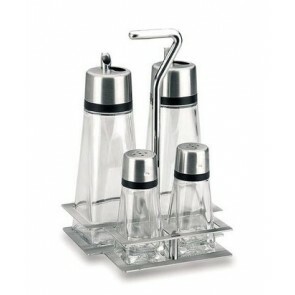 The seasoning set, which can also be complemented with a salt and pepper dispenser, is essential for a table setting. 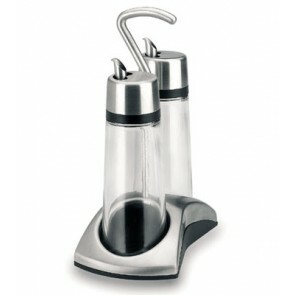 In fact, this kitchen gear is useful not only for functional reasons but also for its aesthetic appeal. With a capacity of 17oz / 50cl, the seasoning set is 8"/20cm wide and 12"/30 cm large in general. An indispensable ally in our kitchen as well as on our tables, this two-piece set has especially been designed to preserve your oil and vinegar. In addition, it also makes serving oil and vinegar in your meals very easy while controlling their dosage. This is an excellent accessory to season your culinary preparations such as salads, raw meals and to oil or brown your meat. 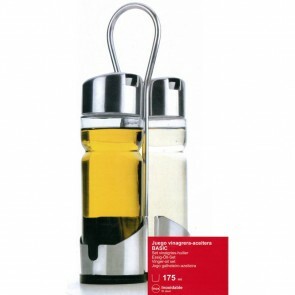 This set enables you to store your seasonings in one place! In fact, each of the accessories can be stored in sockets provided for this purpose after each use. The handle of this item enables an easy transportation from the kitchen to the table. The vinegar and oil set which is one of the most practical items in the kitchen needs to have a good and original look so as to perfectly dress your table. The most beautiful or the most amazing sets will surely impress your guests! Do not skimp on the means when it comes to choosing this type of kitchen tools! They can make a big impact. 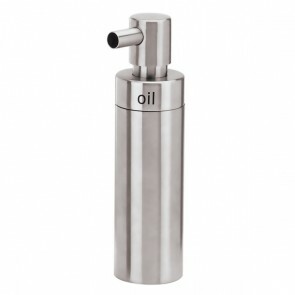 Equipped with a pouring spout, the oil and vinegar dispenser is generally available in various materials such as melamine, glass, ceramic, stainless steel, earthenware and even stoneware. AZ Boutique proposes a wide variety of set made of glass, plastic or stainless steel. 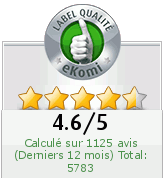 Among many brands, the famous ones include Bodum, Revol and Bugatti. Enhance your festive table for a successful family meal with this oil and vinegar set. AZ Boutique offers you an array of components made of stainless steel or other materials comprising of the vinegar and oil set. 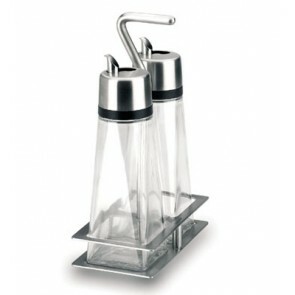 Discover other products like the salt and pepper set or mills. Make your choice now!